Visage Imaging at RSNA 2018 | New Booth! It's that time of year again! Visage will be exhibiting at the upcoming RSNA 2018, from November 25-29, 2018 in Booth 4721, South Hall A, McCormick Place in Chicago, IL. While we hope to see many of you at the Annual Meeting, we know that for many of you, a trip to Chicago may not be possible this year. 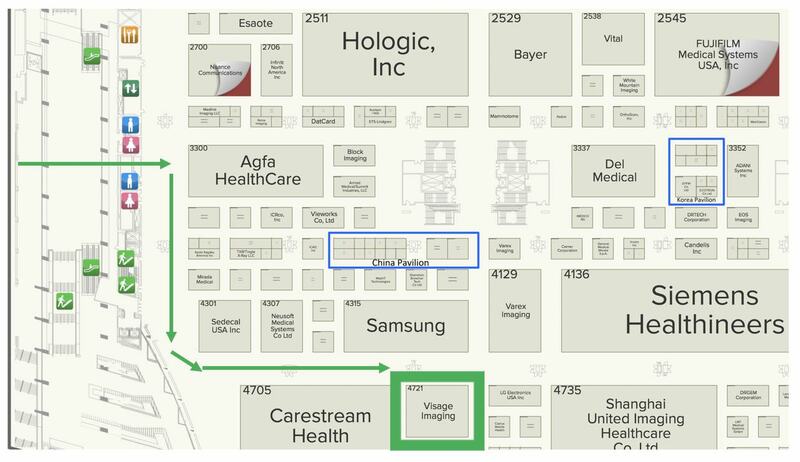 We've got you covered either way, and will give you an insider's view into Visage Imaging | RSNA 2018! 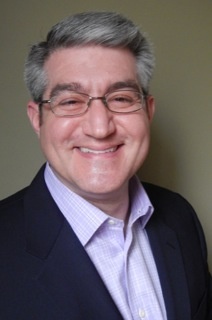 Your experience at RSNA with Visage is incredibly important to us. Our planning starts in July and includes a multi-disciplinary team that evaluates our technology, graphics, multimedia, integrations, booth flow, numerous other areas, and yes, even our gourmet coffee service. For 2018, Visage has a new booth that's 3,000 square feet of beautiful. We're at the front of the South Hall, right on the main aisle. 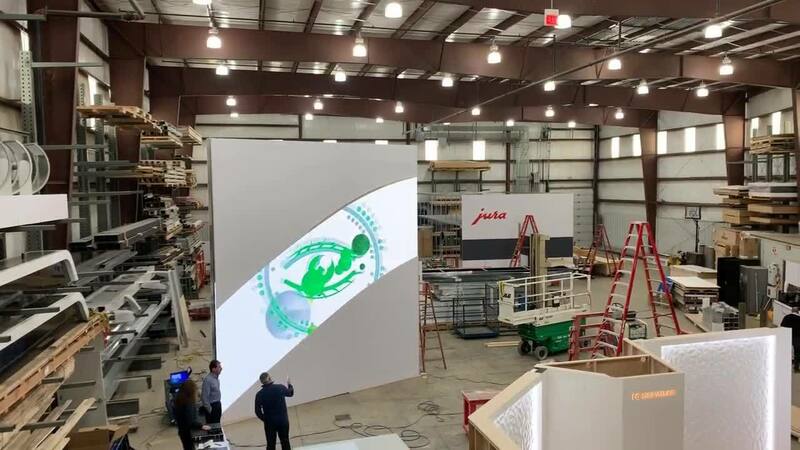 You'll see a dramatic, signature digital LED wall that will soar 20 feet above our booth, welcoming you to the Visage 7 experience of "Proven. Enterprise Imaging." Overhead you'll also see our new Visage archway, gracefully framing the whole visual space. You'll also see a shift from carpet to solid-surface hardwood flooring, conveying a contemporary vibe throughout the booth. We've got ten different workstations for you to see Visage 7, including three 'larger than life' theater experiences, complete with massive 4K displays spanning up to 100". While you're spending time with Visage, be sure to also grab a gourmet coffee, and take notice of the foam on your latte. Much like Visage, this special experience is something you'll surely be discussing with your peers! Visage has delivered the definitive experience for Enterprise Imaging replacing legacy PACS at some of the world’s largest healthcare institutions spanning academic, community, outpatient and government environments. Visage’s highly differentiated technology and proven fast-track implementation methodology has resulted in implementations performed in less than a quarter the time of industry norms enabling customers to rapidly achieve results. Under the theme of “Proven. 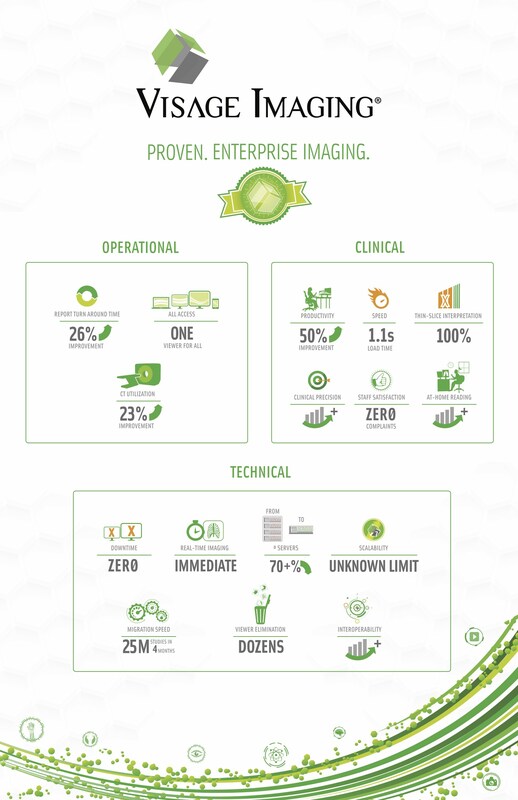 Enterprise Imaging,” Visage will present case studies of client return on investment with Visage 7 in the key areas of increased clinical accuracy, improved radiologist and technologist productivity, as well as IT and infrastructure savings. For our RSNA 2018 press release, click here. Visage customers have experienced remarkable results spreading Visage 7 across their enterprises, eliminating legacy PACS and dozens of specialty viewers. Over the last 4.5 years, Visage customers have interpreted ~500M (current/prior) exams using Visage 7. Yes, our technology is differentiated, but our hallmark is truly customer success. Take a look at our graphic "Proven. Enterprise Imaging", to appreciate the impressive results our customers have achieved. We look forward to speaking with you about the transformations our customers have achieved with Visage 7 at RSNA 2018! We'll be demonstrating the latest release of Visage 7.1.12, which includes numerous enhancements and refinements, notably for Breast Imaging and Protocols driven by expert feedback from our leading academic customers. We'll also be showing a preview (as a works-in-progress) of 7.1.14. Visage’s comprehensive support for multi-modality enterprise viewing is further enhanced in Visage 7.1.14, including visible light photographs and videos, clinical documentation (such as examination reports or other documents in PDF or other formats), or other types of image data, making it a truly universal image viewing and communication platform that consistently supports radiology images as well as other clinical image data, whether for ophthalmology, OR documentation, or other photographic use cases. Visage has also announced Visage 7 AI (as a works-in-progress), our concept of AI that bridges the needs of diagnostic imaging and data science research in the same enterprise imaging platform enabled by the core design of Visage 7 and our unique understanding of market needs. Unlike other solutions that require separate, dedicated viewer(s) to incorporate AI algorithms into diagnostic workflows, Visage 7 AI is an integral part of the Visage 7 platform enabling optimal, fast integration of AI algorithms into existing interpretation workflow without additional viewing applications. Visage 7 AI is an open platform that offers a flexible Python open API for AI, uniquely supporting NIFTI, as well as other research formats. We hope you enjoyed your Visage Sneak Preview | RSNA 2018 and will come see us at our brand new booth! If you can't make it to Chicago, please drop us a note and we'll answer any questions you might have.